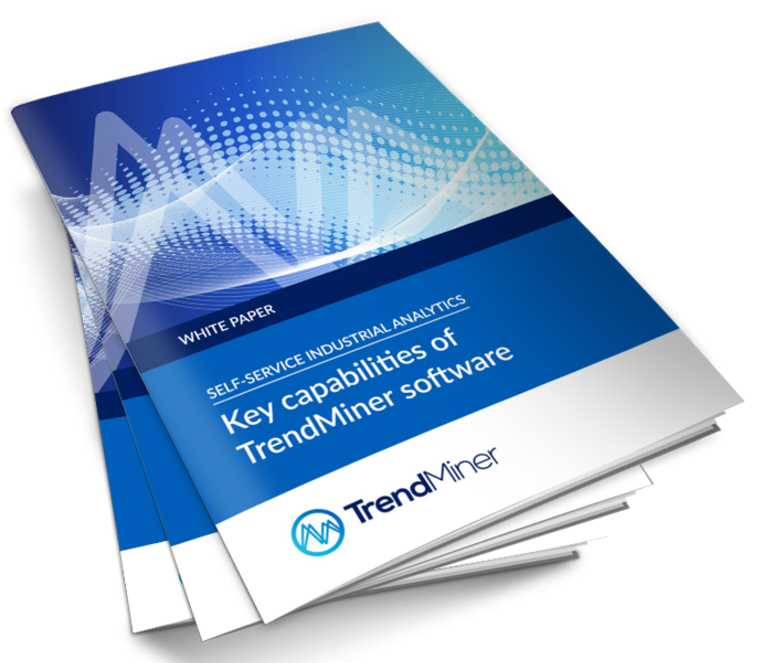 This whitepaper is designed to deliver in-depth information about all the features and functionality within our software. It introduces the complete TrendMiner solution, provides practical examples of how it contributes to process performance at all levels of the plant and shows how this supports the journey to digital transformation. Discover how our self-service analytics allow 80-90% of process behavior assessments to be handled by your subject matter experts, thanks to TrendMiner’s advanced search options and pattern recognition technology. Learn how fingerprints for monitoring good behavior in grades, batch processes and continuous processes can improve production consistency, make product quality more predictable and enable automatic alerts. Read how TrendMiner’s predictive mode turns analytics data into actionable intelligence, and how predictions can inform preventive maintenance, reduce downtime and contextualize asset performance for optimal production. Bert Baeck is co-founder of TrendMiner and became CEO in 2013. Bert is a well-known evangelist for driving innovation in the process industry and believes in avoiding the hype and focusing on achieving practical results. His professional experience includes more than 10 years within big data/analytics and the manufacturing industry. Before his work with TrendMiner, he was a process optimization engineer for Bayer MaterialScience (now Covestro). Bert holds Master’s degrees in computer science and micro-electronics from the University of Ghent. To download this content, please complete the form below. You will be shown the document immediately.